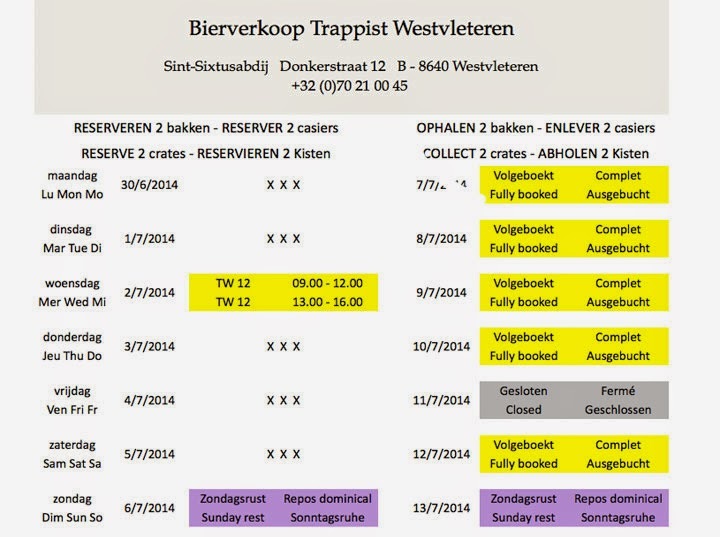 Westvleteren, consistently ranked the #1 beer in the world, is a Trappist beer. 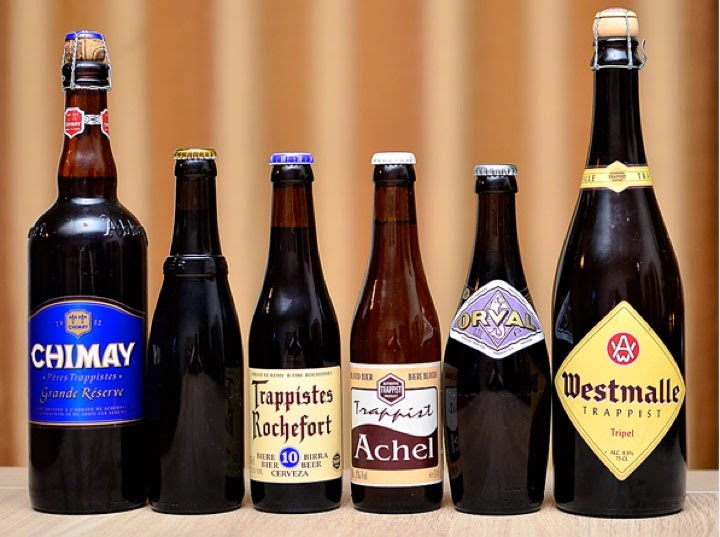 There are only 10 Trappist beers in the world, six in Belgium, two in the Netherlands, one in Austria, and one in the United States (Boston!). We have had the opportunity to check out the Westvletern monastery a few times and also pick up some six packs they sell at the cafe. 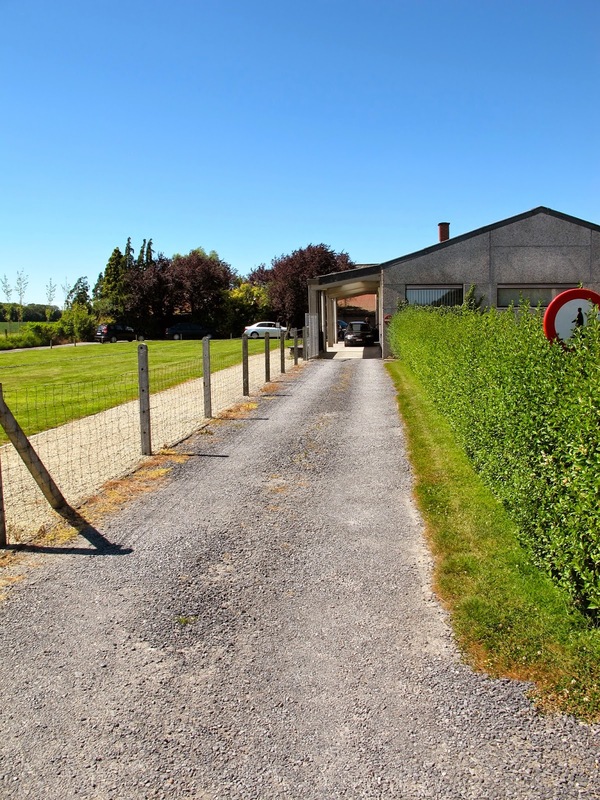 You can not enter the monastery where the monks are busy making beer, cheese, and delicious jams, but you can enjoy a great beer on a terrace in the middle of farm country. One reason the beer is so popular is because its extremely hard to find since the monks don't make the beer for a profit but instead just to sustain their way life. So if you want more than a six pack (which is sometimes unavailable at the cafe, depending if the monks brewed enough) than you need to place an order over the phone. Sounds simple enough, wrong. First you will find this screen. Then you will try to call, for instance this week - only on Wednesday from 9-12 or 1-4pm. Ryan and I called for three weeks, a totally of four days to reserve our two cases. Here's a glimpse of what our trip looked like yesterday. I have to say Ryan looked like a boy in a candy shop, and I am sure our friends Josh, from Germany, and Tom, Ryan's neighbor from WI, would have been the same. Waiting in line, we saw a monk - PS. No photos allowed. 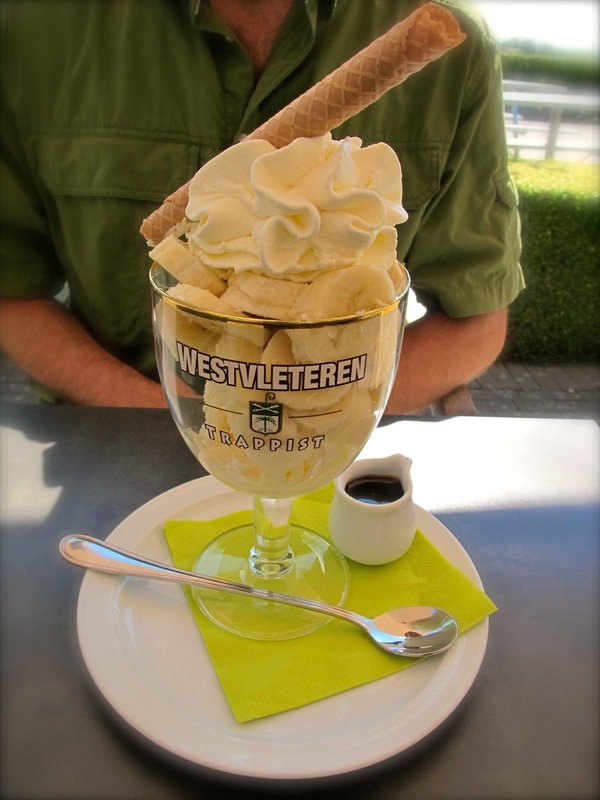 For me: "In De Vrede" ice cream, made with the Westvleteren 12... bizarre but delicious! but a simple change of the shirt and an ice cream break later- we had four more six packs! 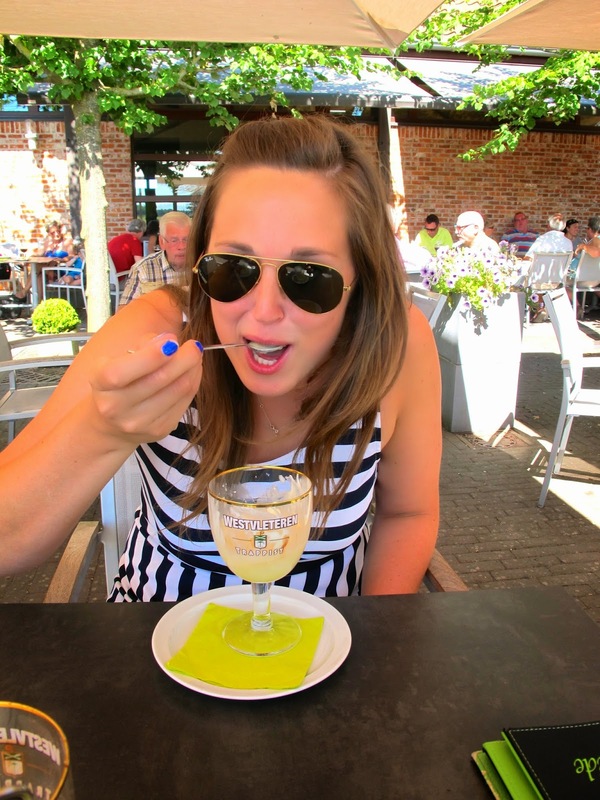 Westvleteren is definitely a Belgian beer worth the effort, and I have a feeling some of you might be calling us when we get back State-side for a sample! Of course we will oblige.